You can have too much of a good thing, and trims fall into this category if you want longer hair. Many women resort to trimming their own hair at home after suffering the results of a scissor-happy stylist. Healthy hair doesn't require as many trims as unhealthy tresses; the less you do to your hair, the less likely you'll need frequent trims that take off an inch or more. Hair grows an average of 1/4 to 1/2 inch per month, so if you care for your hair properly, you don't need to cut more than 1/2 inch every few months or so if you want to see growth. 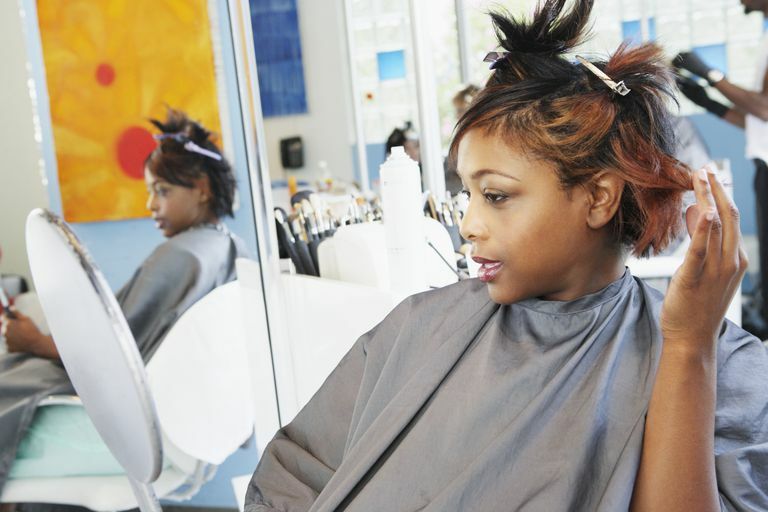 When you do trim your tresses, be sure to use shears designed for this process, and not dull household scissors that perform multiple tasks, from cutting craft projects to gift wrap paper. you may need to start. It's very difficult to over-condition black hair, so the more moisturizing products and practices you use, the better conditioned, and less likely to break, your tresses will be. Tight styles, particularly ones that pull at the hairline, can do serious damage; in some cases, this damage is permanent, killing follicles forever. If your hairline is sparse, this condition may, unfortunately, be irreversible. Braids that are too tight, ponytails that pull, suffocating weaves and more are all styles that need to be abandoned. In many cases, a mindset is what needs to change at the same time the style changes. Sleek, straight hair that's pulled within an inch of its life may look good, but healthy hair is about so much more than appearance. It may be time to reexamine your usual hairdos if you realize they're often too tight for your own good.